All this week, the BBC is talking to people who once held a position of global influence but have since lost it, giving them the chance to reflect on their feelings as their world collapsed. 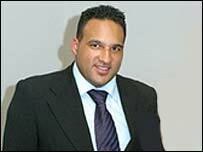 Here, Michelin-starred chef Michael Caines. 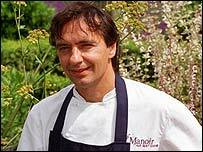 In 1995 top chef Raymond Blanc recommended that his young protege, Michael Caines, take over the exclusive restaurant at Gidleigh Park in Devon, England, at the tender age of 25. However, Mr Caines lost his arm in a car crash shortly afterwards, and was faced with the challenge of rebuilding his promising career without it. I was very focused on wanting to be the best chef. I wanted to work in all the best restaurants, so I put myself in tough environments right from day one. It's what I wanted to do. Between the ages of 22 to 25, you think that life is going to carry on like that forever, because at that age you also think that you are going to live forever - you're kind of invincible. That was a very dear time. Spending time nurturing my talent at places like the Quatres Saisons with Raymond Blanc was very special too. But as I think about one particular occasion, I also realise and recognise that since my accident I've buried a lot of those memories - because sometimes it would be a little painful to remember. I'd just come from France where I was so used to being tired, and I just kept pushing myself. And I came to Gidleigh, and I was working seven days a week - because it's a new job and we had few staff, and obviously you want to make a good impression. And there was a christening that I'd forgotten about. I had a new car, so I gave my brother and his girlfriend a lift. So we drove up early in the morning and the music was playing, and it was very, very hot. Very calm and very hot. I just felt myself becoming more and more tired, and I was so tired that I missed the junction to turn off, because I'd nodded off. My car drifted from the outside lane to the inside lane, and it hit the barrier on the left hand side. And as it hit the barrier I woke up. I knew immediately what happened and I screamed. As I hit the barrier the car rolled and turned over. It sort of screeched down the central reservation and bounced off. As I hit the barrier the whole roof collapsed in and my arm was ripped off. One of the things that you never forget is the screeching sound of the metal. I was conscious throughout the accident, and I was lying upside-down in the car. I saw a hand, and I thought, there's a hand there, and I looked over and there was just a complete loss of arm from my shoulder. A lady called Geraldine came over. Everyone was worried about everything around me, but she came over and put a blanket over me and she sat over me. She held my face in her hand and she focused on me. I kept on saying, "It's no good, it's no good, I've lost my arm", and she said "no". She suddenly made me focus away from that, and she said: "Obviously there's people there that love you." And I suddenly started to think about my life. She made a difference, because she made me want to fight and to try and survive. I remember before they put me under anaesthetic at the hospital I asked: "I just want to know, can you save my arm?" And the woman said: "I don't think we can." I think that was an important thing for me to acknowledge. When I came out of anaesthetic I immediately said I still wanted to carry on, I did not want to let this beat me. All the time that I spent enduring that hassle and learning my trade, I wasn't about give that up without a fight. I think what the accident had done was make me incredibly focused on achieving. If somebody says I can't do it, that's like a red rag to a bull. Why can't it be done? I had to overcome so much, that I suddenly realised that many things in life can be overcome, if you have a positive outlook on life. The second Michelin star was a quest, something that became an obsession really, and where I worked ridiculous hours to achieve it. 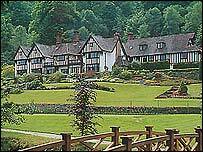 And I did in 1999, four-and-a-half years after taking the job at Gidleigh Park. I remember getting the news when I was skiing on holiday and that was a great moment. I was on top of the mountain, I felt like I was on top of the world. And that was probably my greatest achievement to date, and it was fantastic. I'm a better man for my accident, no doubt about it. Directors, producers, stars, studios - who really runs Hollywood? Power Play: Who would you choose to run the world?